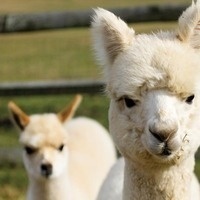 Island Alpaca Company of Martha's Vineyard began in 2004. With a herd of some 70 Huacaya alpacas and one llama on its nineteen acres of land, the goal is to produce alpaca with the highest fleece quality and color diversity. Open for visits. Shop features a variety of handmade products.